I've taken it upon me to have totally exclusive japanese t-shirts made. 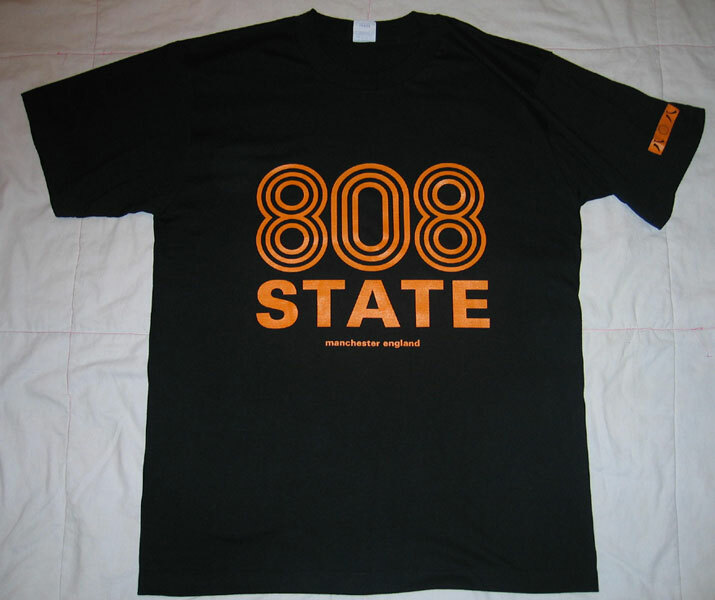 They are exactly the same as the others, but in the 808state.com colours: black with orange writing! They are making their way from Japan as I speak. 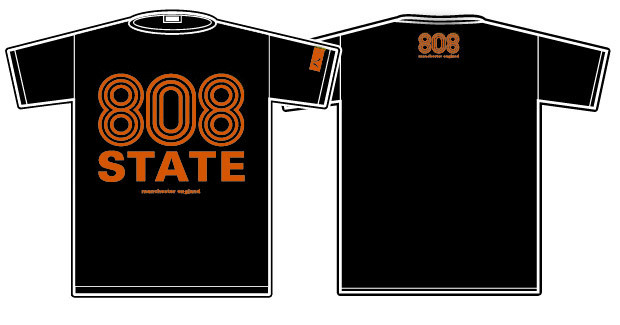 They are extremely, strictly limited to 20 pieces, by Bad News Records exclusively for 808state.com readers, only available through 808state.com. 10 sizes L, and for the big boys: 10 sizes XL!! Shirts will be available through me and payment possible through paypal. PRE-ORDERS TAKEN NOW. Send me a private message stating how many shirts, and which size. Definitive orders will be available online as soon as I've got the shirts and know the exact cost. They will be slightly more than the others to cover shipping / customs etc. Probably around 30 Euro's ('Europes' if you're Frankie Wilde from I'ts All Gone Pete Tong) per shirt. Last edited by markus on 04 Nov 2005 16:03, edited 12 times in total. Oh well Nick. You've got to get one to complete a full set. Pob wrote: Oh well Nick. You've got to get one to complete a full set. 12 of 20 have now been pre-reserved. I'm expecting to receive the shirts at the end of the week. The shipment from Japan has arrived! :):) Can confirm that we have 10 Large and 10 Ex-tra Large. Europe: 32.00 Euros (approx 23.00 Pounds). Rest Of World: 38.00 Euros (approx 45.00 US Dollars). I know they aren't cheap and let me assure you I am not making a profit on this. It's simply not the most ecconomical way to have shirts shipped from Japan to Europe first and then onwards... But it is official merchandise, and you will know you are wearing something only 19 other people on the globe have. I will be updating the site with a Paypal payment page over the weekend. Pre-orders still accepted in the meantime. Update 7 Nov: Only one shirt (size L) left now. Size XL sold out! Last edited by markus on 07 Nov 2005 07:23, edited 7 times in total. C'mon Markus. Hurry up, I'm desperate to part with my money! OK, here's the page to order the shirt . Anyone who pre-ordered but did not receive an e-mail from paypal, you can also simply go to that page and order from there. First six shirts have been dispatched. Size XL now sold out! Last shirt size L still available! Please get in touch with me via private message if you would like to order the last shirt. There has been a problem with paypal again. Thanks. Did you get mine Markus through Paypal. SteveC wrote: Did you get mine Markus through Paypal. Yes I did Steve and the shirt was sent out last week, Don Dee from Denmark has already received his.